So continuing from my last post about our diet change, I’d like to extend and touch on what we normally eat when we go out. And just to summarize it quickly: We don’t do any processed carbohydrates, which means no rice, noodles, pasta, bread, pizza, sweetened drinks etc; that’s obvious, right? But a lot of people don’t realise that almost everything has carbs (with the exceptions of fatty meat) and some vegetables have higher carbs than others. Apart from reducing carbs, the amount of fat would have to be increased significantly. You can imagine that eating out becomes a bit of a challenge. How do we do it? Here’s a general idea for you. Pork noodles stalls are everywhere in Klang Valley, and we all have our own favourite shop/stall. It’s the easiest dish to be made Low Carb High Fat. Ask for no noodles (most of them would happily oblige nowadays), extra crispy pork lard, and add an egg or two. It’d be good to check if they cook it with any sugar. The meatballs are made with fillers though, so best to avoid. The picture above is a dry version, but this one has hidden carbs from the soy sauce, so do count that in the macros. The vegetables they put in the soup is usually choy sum or lettuce, which is perfectly fine. 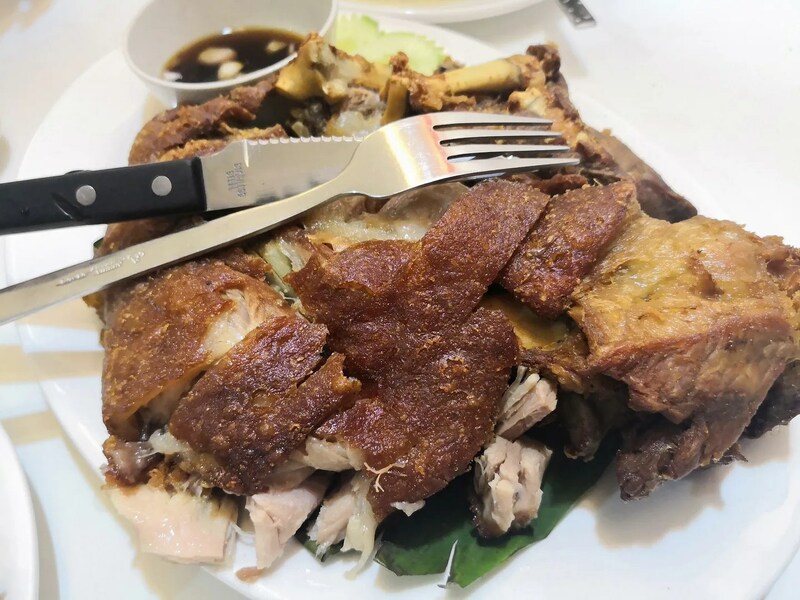 Siew Yoke is another perfect keto food item that’s super easy to find. Ask for fattier cut, no sauce, then eat the cucumbers. The chili sauce (like the one in the pic) is best to be avoided too because there’s sugar in it. 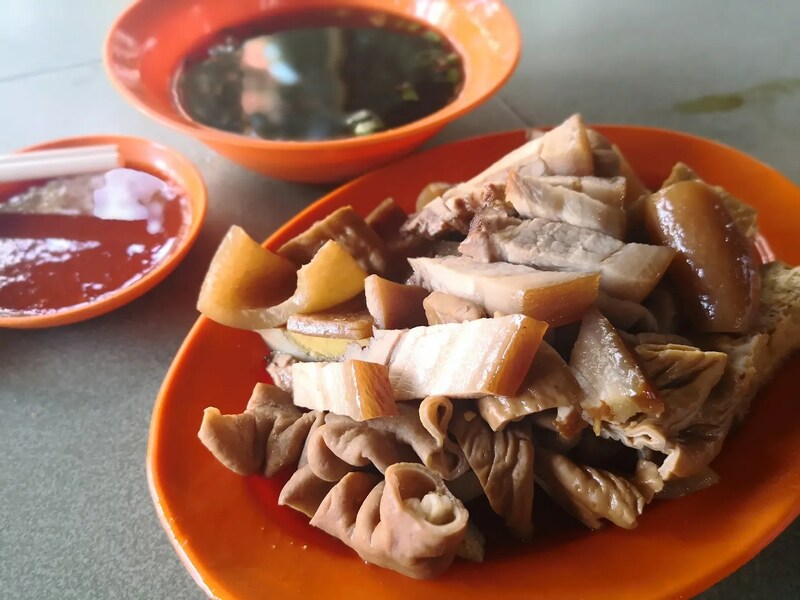 Note that Char Siew is not keto compliant because it’s made with a lot of sugar. Bored of Pork? Roast Duck is great too, just make sure no sauce or sweet marinade. Not the best choice but if you want a bit of variety you can try asking them to replace the noodles with bean sprouts, don’t eat the tofu pok and go easy on the soup because there might be hidden sugar. Those with Roast Pork would be better because of higher fat content. And on that same subject, I’ve seen people doing Char Kueh Tiaw with bean sprouts too, but hard to imagine that it’d taste good hahaha. Again, same concept with the pork noodles, just the beef parts and broth, no noodles. Skip the meatballs. 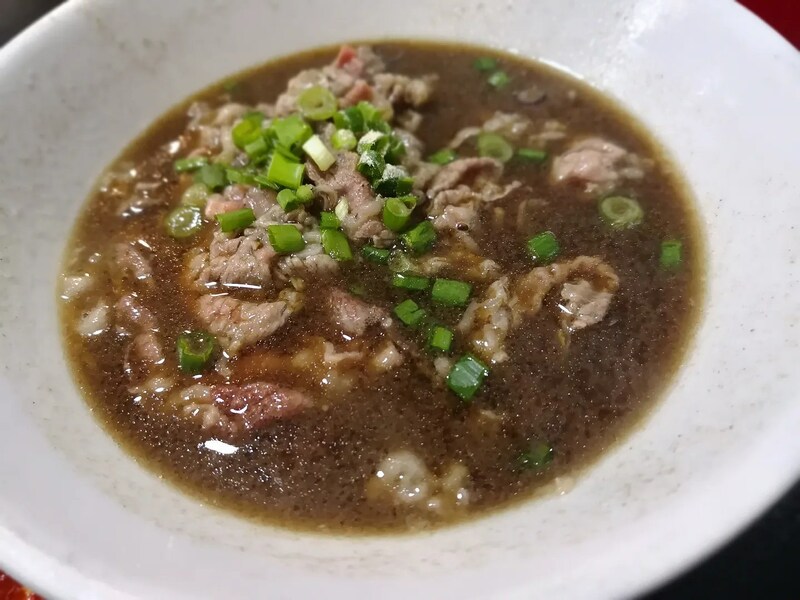 This picture above is from Yung Kee Beef Noodles, which in our opinion serves the best beef noodles in town. 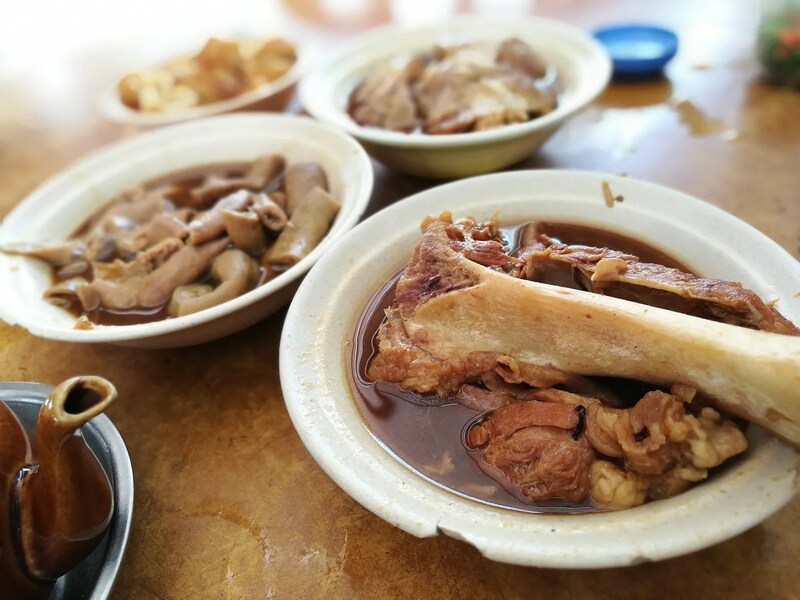 Now that we can’t eat their famous lai fun, we opt for the fatty cut of beef in broth and other parts like tripe. Yum! This is my favourite comfort food because it reminds me of home (Sarawak, though the one above is from JB). 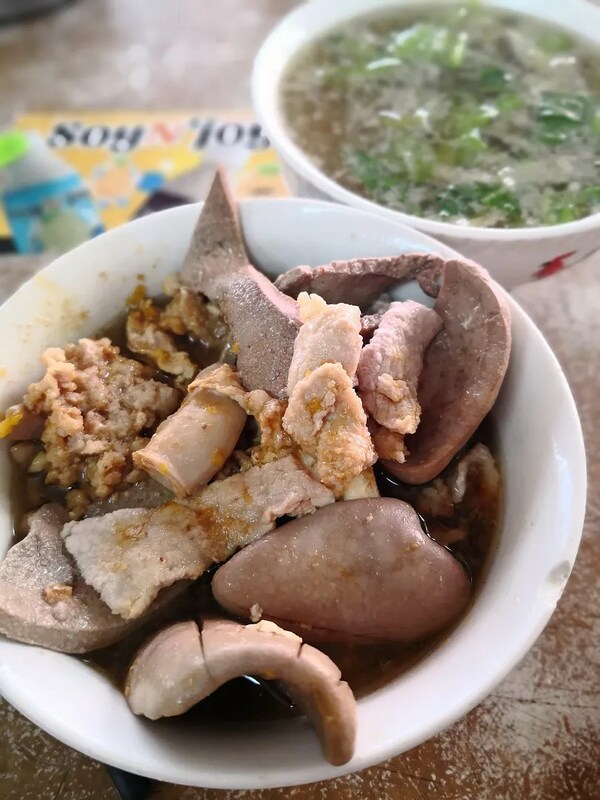 Admittedly both of these are not easy to find in Klang Valley, but if you do, you can also skip the noodles and just go for the pork parts and egg, no tofu though. This should be quite obvious. Just the Chicken (thighs and drumsticks, both roast version and white version are ok), eat all the skin, eat the cucumber, no sauce. Organs are good too. No picture because well, I don’t eat chicken as my body reacts badly to it. Well well, this is a controversial one. 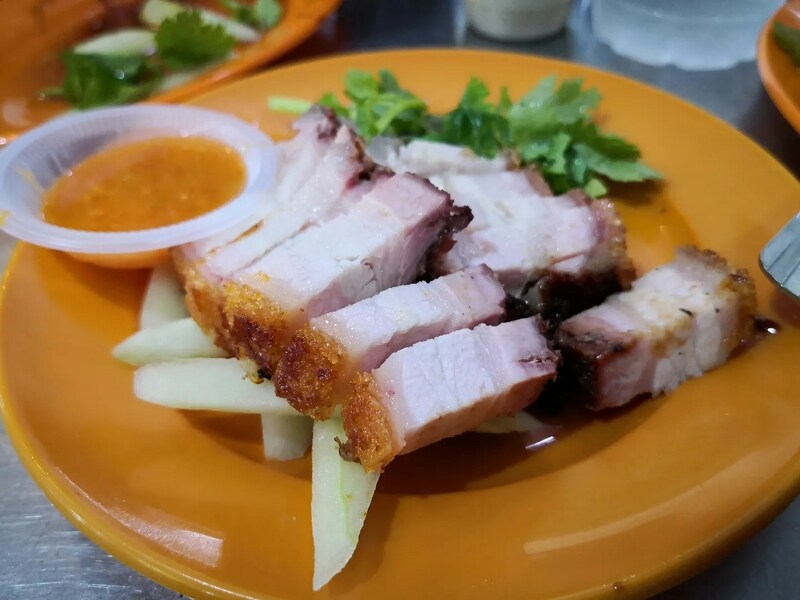 BKT is the easiest way to obtain fatty pork parts (Tua Kut, Pork Belly, Pork Leg… all great selections), but the only thing is, the thicker the soup, the higher the carb (from soy sauce and the Chinese herbs… Yes they have carbs). So eat the meat/fat, and only drink the soup sparingly if you must. Since you are eating without the rice and You tiao, you don’t even need that much soup. Ok…. Moving along to restaurants/cafes. Our two favourite things would be Mookata (Thai BBQ) and Korean BBQ. Why? Because you can just eat all the meat and some of the low carb vegetables. 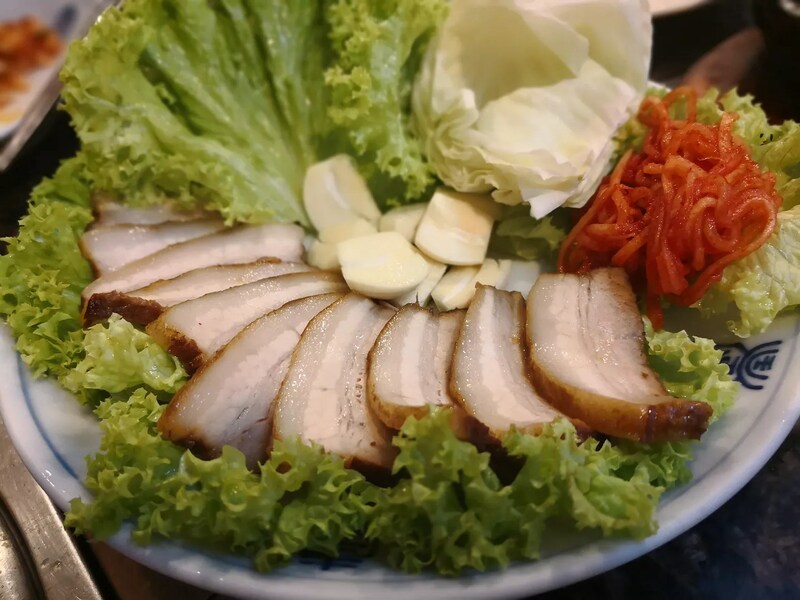 A few things you can order: Bo Ssam is Boiled Pork Belly served with Kimchi and Lettuce. As keto as it gets! Just don’t take the sauce because sugar. BBQ meat is also an excellent choice, but do go for the ones without marinade though. The picture above is from Palsaik which has meat marinated in 8 different flavours including Gochujang etc…. give the sweeter ones with friends who are not on Keto hahahaha. Anything that says Bulgogi or made with Gochujang, skip. Kimchi is usually made with a little bit of sugar too so don’t eat too much of it. Thai food is generally a little bit tough to be made Keto because almost everything has sugar as their seasoning. 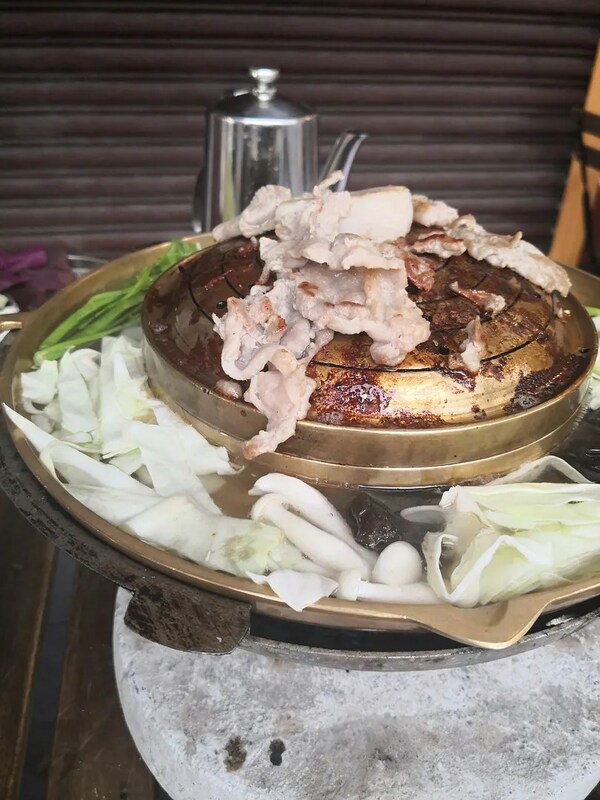 Mookata, however, is a pretty good option: just order the pork slices (no marinade) and some of the lower carb vegetables (water spinach, cabbage, mushrooms usually). 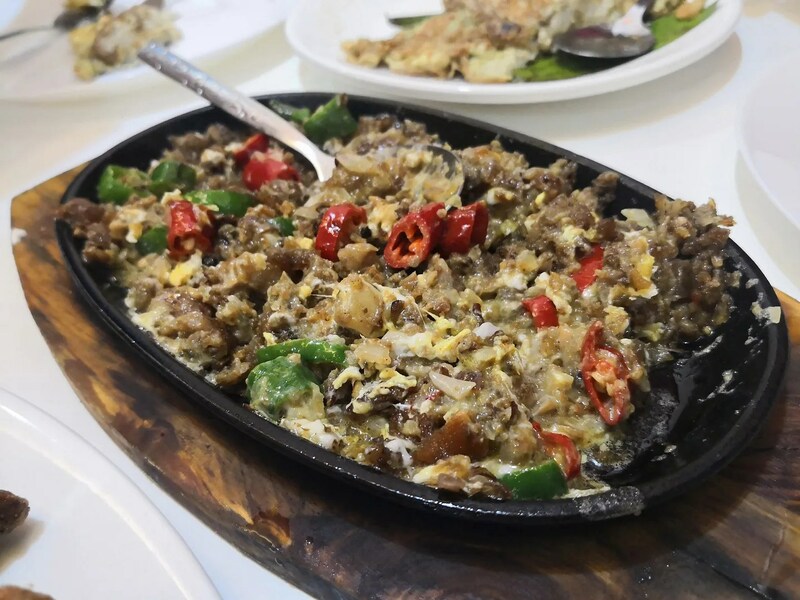 Ordering the Basil Fried Pork with Egg and no rice is probably fine once in the while, and the Herb Omelette is safe too. Braised Pork Leg might be a good source of fat, but most of them tend to be too sweet so nowadays we avoid too. 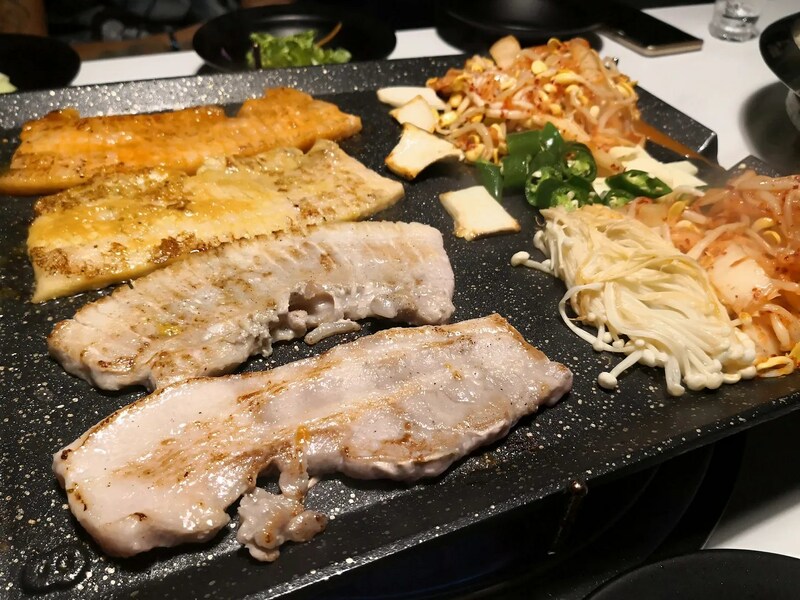 The grilled fish is great, grilled pork neck is probably fine too, but definitely skip the Moo Ping so it’s also super sweet. 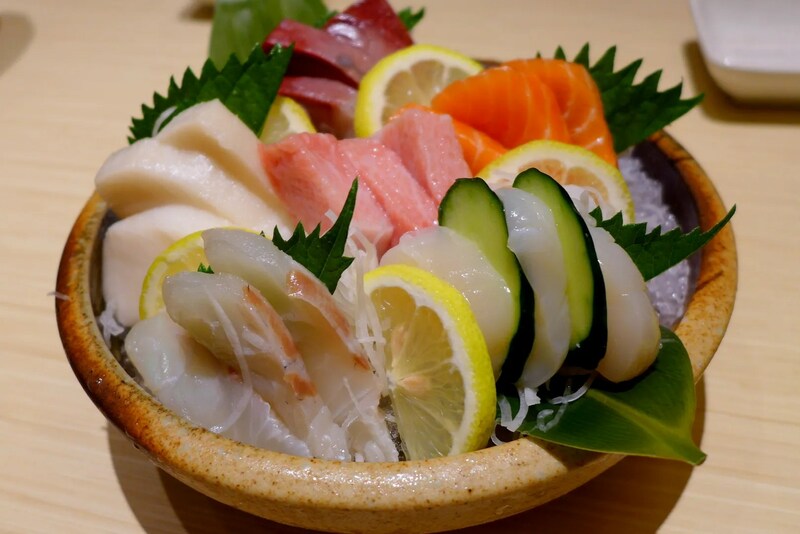 A wide range of choices here: Sashimi (choose fatty fish like Salmon and Tuna), Chawanmushi, Grilled Fish (salt grilled only), Yakitori stuff (pork, chicken, organs). No teriyaki sauce (sugary) or aburi/mentai-yaki stuff (coz of the mayonnaise). This one might come as a surprise to you but they do have a lot of keto friendly dishes. The Tortang Talong (Eggplant Omelette), Lechon (roast pork), Bicol Express (Pork cooked in coconut milk and cincalok), Sisig (Sizzling Pork Face meat… awesome stuff though careful with the amount of onion/garlic), Sinigang (tamarind based pork soup, but watch out for high carb vegetables) and of course the crispy pata (Pork Knuckle). But of course, skip the rice. Go for Sausages, Roast Pork, Pork Knuckle, Roast Lamb, Roast Chicken, Salmon. Avoid Pork Ribs unless you can find those without BBQ sauce. Eat with, Green Salad, Roast vegetables (skip carrot/corn/anything else that grows below ground), Sauerkraut. Fantastic food to stay low carb. 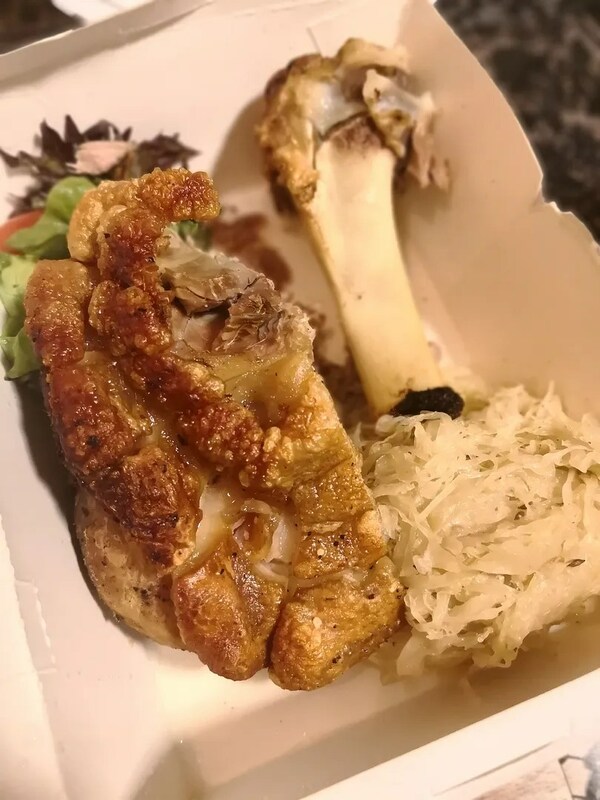 There are also a lot of pork-based restaurants around that serve these kinds of food: Three Little Pigs and Big Bad Wolf (this place even has a Keto menu), S.Wine, Brussels, The Brew House, Tipsy Boar, Uncle Don etc which made low carb meal an ease. I hope this list is helpful for you to decide when you eat out. I’d probably come back to add more to the list, so feel free to add your suggestions too. Happy Keto-ing! Ah, those are great tips! 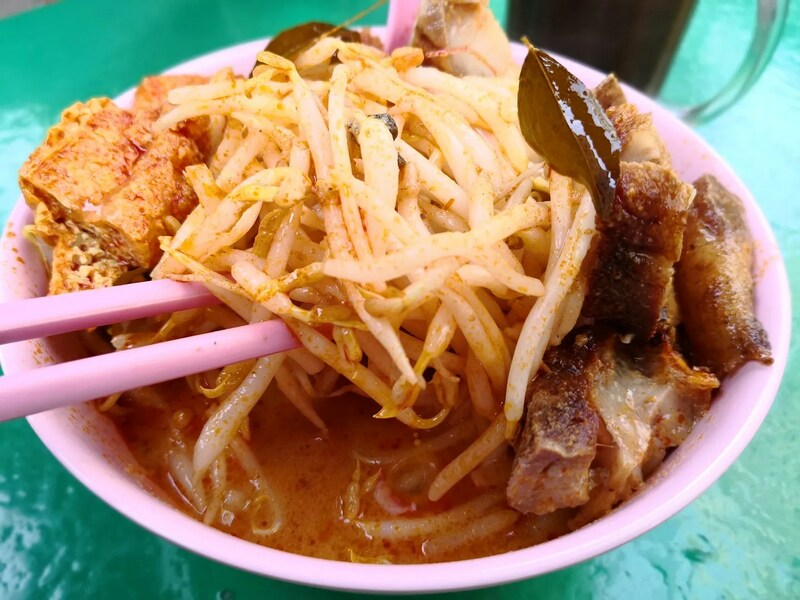 Just that I am shy to ask for curry mee/pork noodles without the noodles, like they may look at me weird hah…hah…. Quite tricky as you mentioned, those tasty sauces and condiments can be full of sugar. Looks like you and Kevin are doing great when eating out. This post has been very helpful. By now I think most of the restaurants/hawker stalls are quite used to people requesting to leave out noodles/rice. Sugar and carbs are responsible for most of the metabolic illnesses, so whether on keto or not its still a good idea to reduce intake and go for quality meat, good fats and fresh vegetables. Ya soy sauce has sugar and also wheat flour. Danger danger!